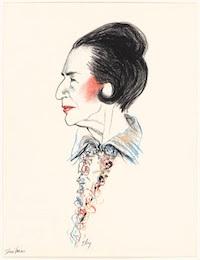 Mel Odom, Portrait of Ms Vreeland, 1980s. 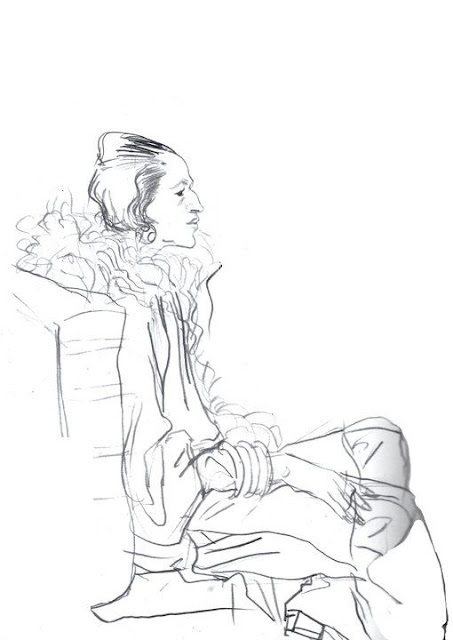 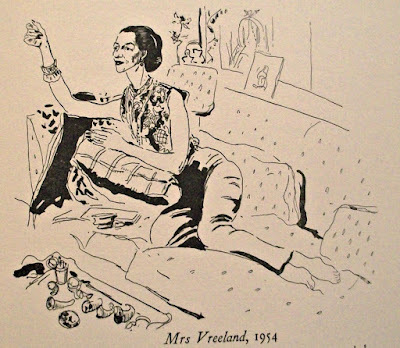 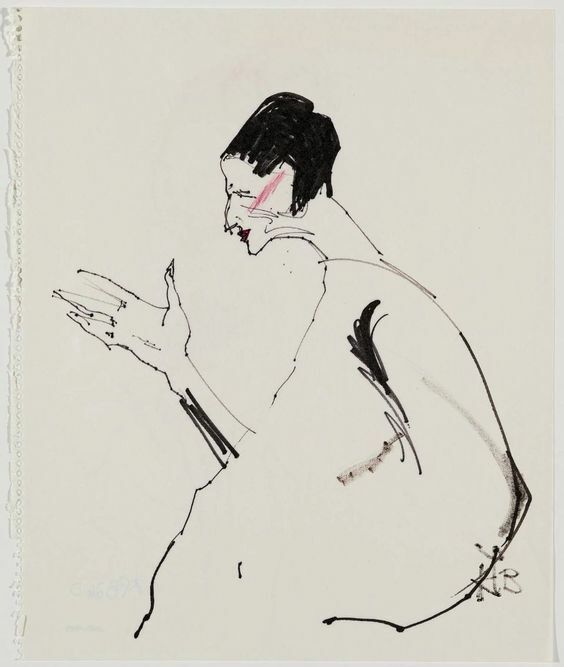 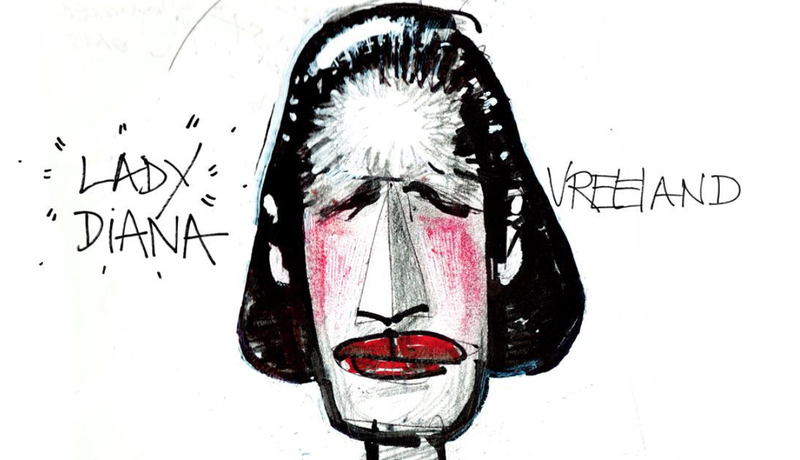 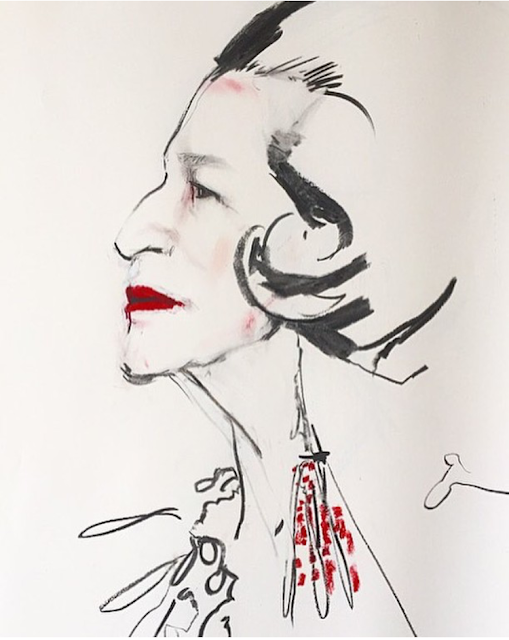 With the possible exception of Anna Piaggi, the appearance of no other fashion editor or matriarch in fashion has had quite the influence on illustrators and artists like the figure of Diana Vreeland. 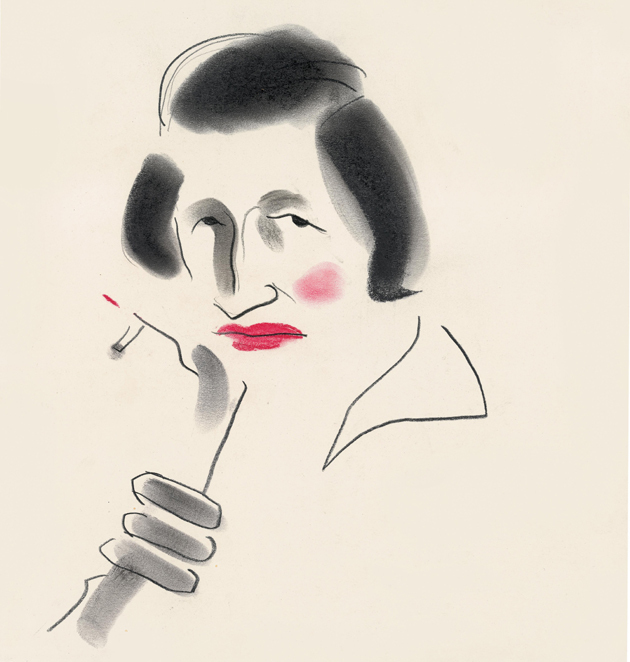 Former editor in chief of American Vogue, Ms Vreeland's symbolic profile, one that can be reduced to just a nose bump and cigarette holder is one so recognizable and so emblematic of an era that many continue to be inspired to transcribe her image to this day. 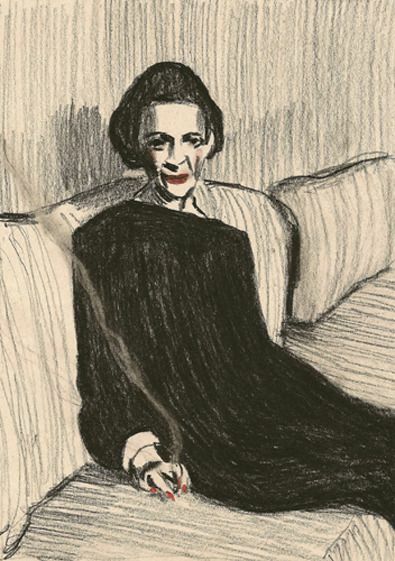 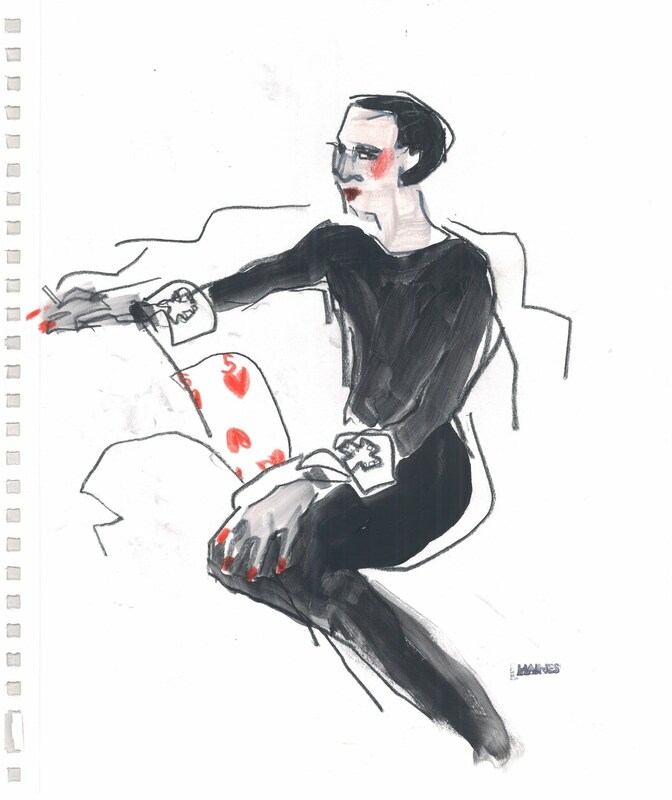 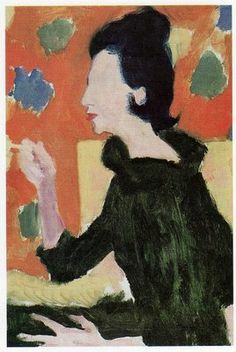 The results shown here by a significant roster of artists from past and present interestingly all portray Vreeland's iconic appearance consisting of black clothing, pale skin and red make-up, proving Vreeland's self-constructed image has equally immortalized itself alongside her leadership. 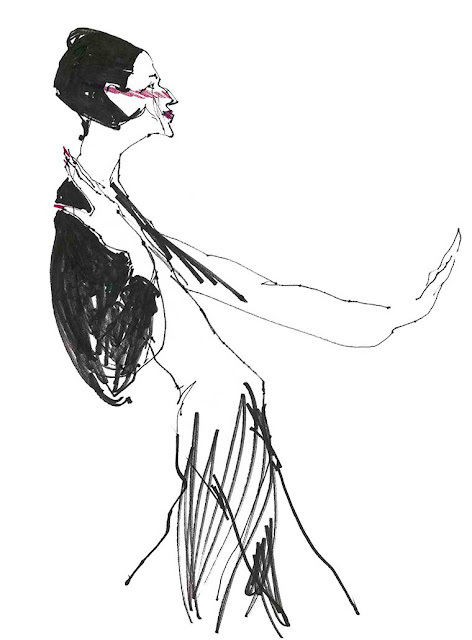 Richard Haines for What I Saw Today, 2011. Richard Haines for What I Saw Today, June 2011. 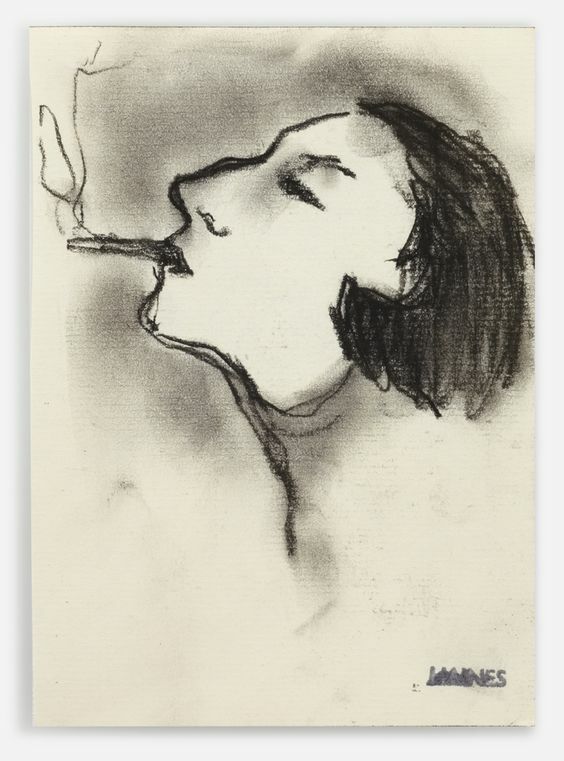 Zoe Taylor, Too Much Night, Syntax Editions 3, 2010. 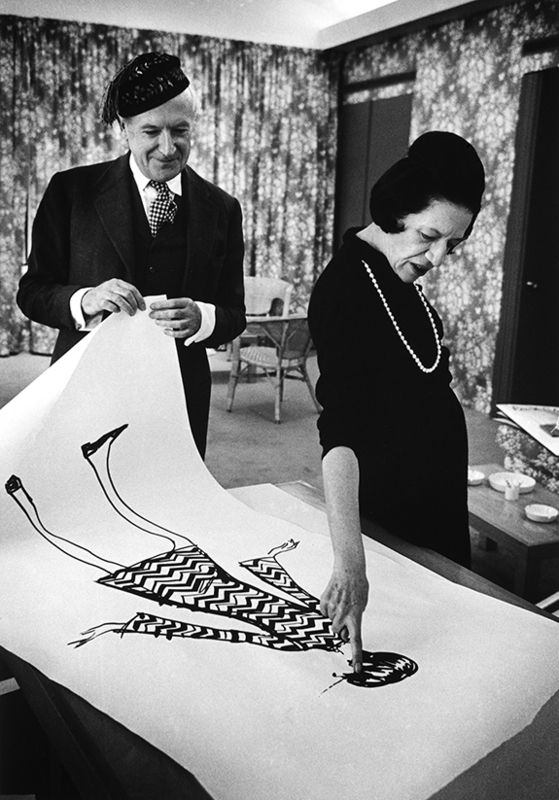 Diana Vreeland looks at a drawing with Cecil Beaton, 1965. 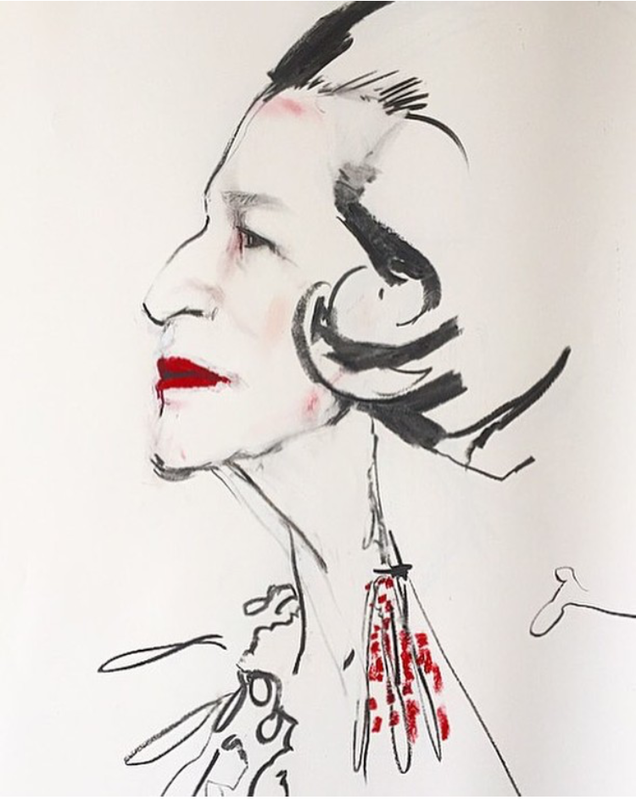 Jean Paul Goude, Lady Diana Vreeland, 2015. 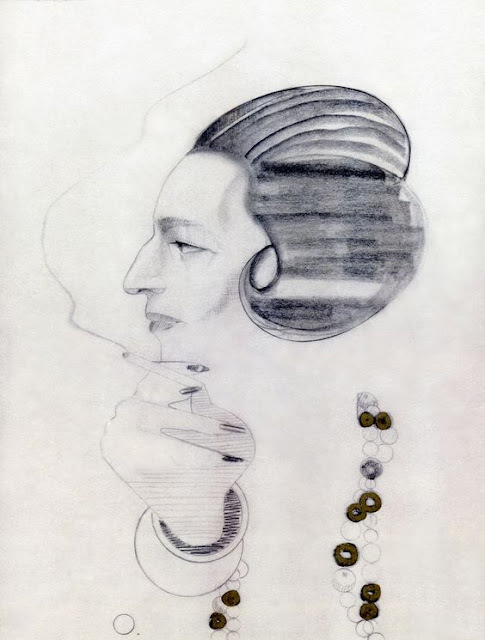 Kenneth Paul Block, year unknown. 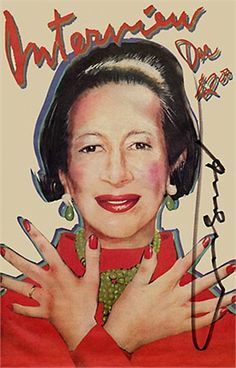 Richard Bernstein, Interview Magazine, December 1980. 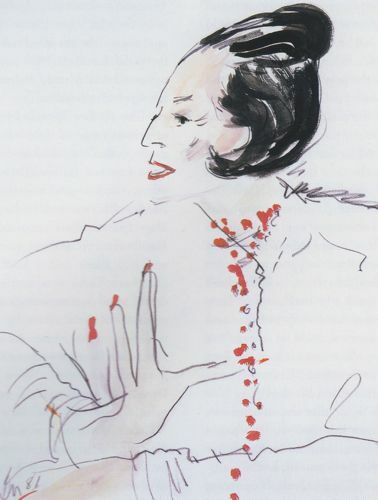 Diana Vreeland, The Modern Woman; The Bazaar Years 1936-1963. 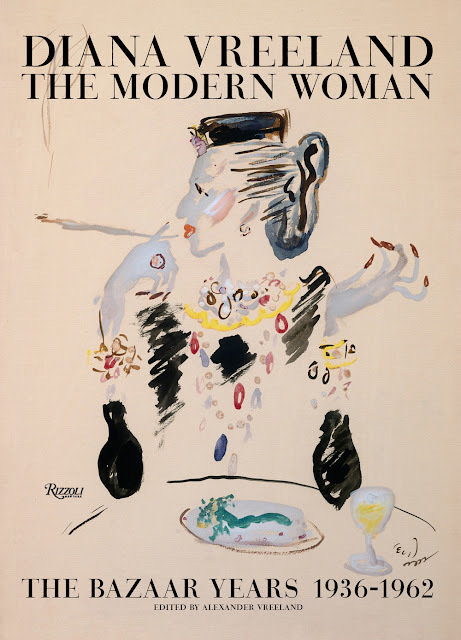 Rizzoli Publishing, 2015.